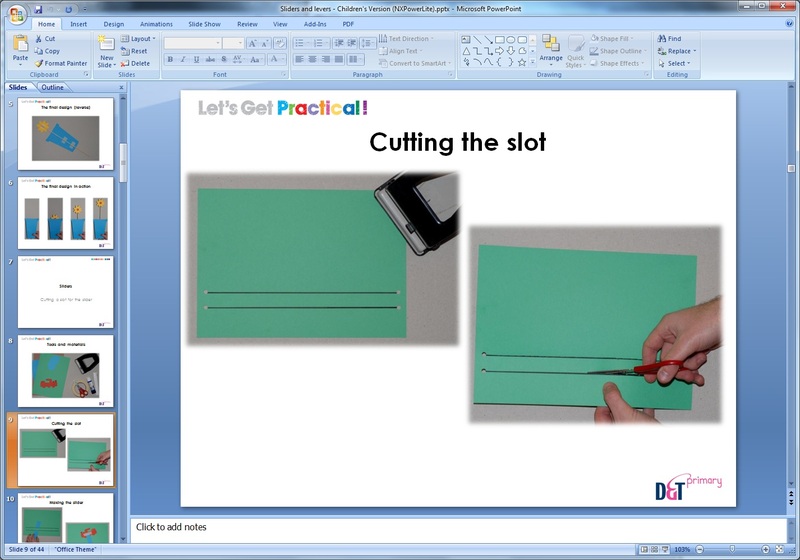 This resource has teacher and pupil PowerPoints with a step by step approach to creating mechanisms involving sliders, levers and linkages and which show completed projects to inspire teachers and children. There are plenty of teacher tips and examples of inspiring ideas to help you guide children in making design decisions. 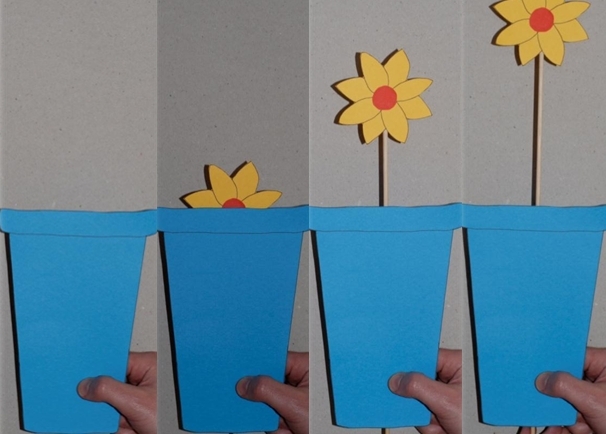 It includes templates to support the making of the projects, which will be useful for staff training and possibly for focused practical tasks with the children. However, remember that the final product should be the child’s own design. The children’s PowerPoint has basic instruction with titles and pictures for them to follow in class under the teacher’s instruction. It includes five example projects to inspire their ideas. 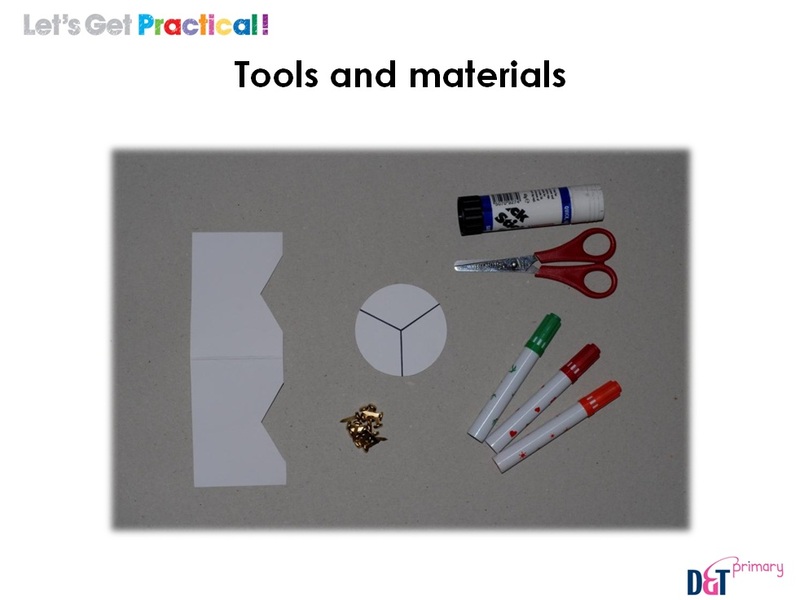 ‘Let’s Get Practical!’ resources are designed to help with some of the technical aspects of design and technology. They come in a variety of forms including PowerPoints and posters. Some are designed for teachers’ own use whilst others are suitable for children. Issues of the Association’s members’ magazine ‘D&T Primary’ include Let’s Get Practical! posters and downloadable resources which are then added to this growing resource bank for members.